If you are anything like me, you are constantly on the hunt for the best hair care products available. Finding the best shampoo for color treated hair can be tough. Your options tend to be limited. I have tried out many shampoo and conditioner combos. In this Matrix Biolage shampoo and conditioner review I’ll take a look at Matrixs’ Colorlast line. I do not believe that you must use a shampoo and conditioner that are meant to be used as a pair, you can mix and match, but in this case, this combo worked out well for me. Specifically meant for color-treated hair, Biolage Colorlast did not receive universal acclaim. Reviews from some of my friends have ranged from decent to downright terrible. With some complaining of hair loss, more rapid color fading, and straw-like hair, but I just attribute that to their scalps being more sensitive and reactive to these products. My experience, as well as from the rest of my friends who tried it, other than the ones above, has been mostly positive. In this article, I will explain a bit about the product, tell you about my experience using it and share the pros and cons that I found in it. The four lines – ColorLast for color-treated hair, HydraSource for dry hair and scalp, SmoothProof for frizzy hair and VolumeBloom for fine orthin hair, have taken on a whole new look with new ingredients to supposedly make them even better than before. 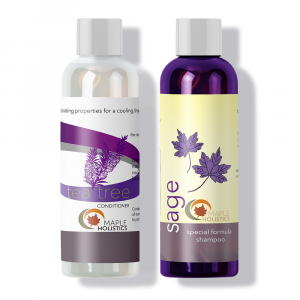 The products tap into the amazing powers of various natural ingredients like orchids, aloe, cotton, and the camellia flower, while using greener, more convenient bottles to provide a better hair care experience. 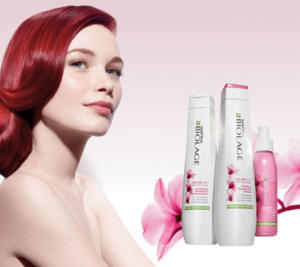 For Great Deals On Matrix Biolage Products, Click Here! As someone who tries her best to be environmentally conscious, I really appreciate that Biolage emphasizes strong brand values to achieve an ultimate eco-friendly vision. From formulas to packaging, manufacturing to community support, Biolage always looks for ways in which to make their brand more sustainable. 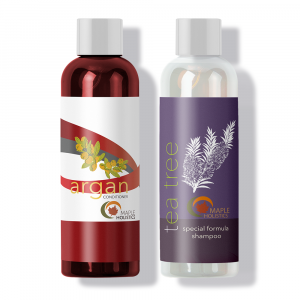 The newly designed bottles in the four hair care lines are attractive, sleek and comfortable to hold. The bottles use 50% post-consumer recycled plastic and they are 100% recyclable and are created using less C02. All the shampoos are paraben-free, leaving you without any waxy buildup. I have never used the old formula so I cannot really compare between the two, though from what I read, the old formula seems to have contained more ingredients that are natural. The company flatly states that these new products are “inspired by the anti-fade properties of the vibrant orchid. The products are made using state of art formulas which are inspired by nature, and they help to protect your hair, balance moisture and even out the hair’s surface for saturated, shiny, vibrant color that stays truer. With ColorLast, you can have color vibrancy even after 9 weeks.” I’m unsure why they would reduce the amount of natural ingredients, or replace them with artificial ones such as Sodium Laureth Sulfate (which help create the foaming effect), but again I cannot really compare. What I do know is that the ColorLast collection does contain less artificial ingredients than many other leading brands out there today. And while it is not a shampoo without sulfates, it is not as sulfate heavy as many other shampoos. 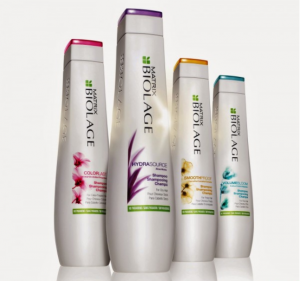 Biolage’s ColorLast collection is designed to keep your freshly colored hair salon-vibrant for up to 8-9 weeks. The new formula is infused with Orchids because they are known to help hair withstand fading and retain color. Orchids contain plant pigments called flavonoids that filter out damaging UV rays that can oxidize color. This then helps maintain even saturation of hue. The full collection, which includes a Shampoo, Conditioner, Mask and Shine shake, is meant to re-balance your hair pH level, which in turn moisturizes your hair in order to avoid de-saturation and even-out your hair’s surface to ensure it can maintain its color treatment. The shampoo helps maintain the color depth, tone and shine. The Low pH conditioner moisturizes your hair, leaving it soft and de-tangled with extra shine and depth of color. The Shine Shake’s dual formula first features a top layer (you’ll actually be able to see the separate layers in the bottle) of creamy silicone emulsion with a UV filter that protects from color-fading, and then the paraben-free bottom layer contains a powerful combination of silicone and orchid extract to offer long-lasting control and static-fighting moisture. The Mask wraps around the strands of your hair giving it an all-around shine. My natural hair color is a rather uninspiring dark brown and I have my hair colored at the salon a beautiful golden blonde. These products prevents brassy hair and really stretches out the time before it begins to fade and needs a re-coloring. I shampoo and condition usually every third or fourth day. Both lather quite easily and create lots of bubble, making hair wash easy. After rinsing with warm, but not hot, water, my hair feels supple, clean, and has no waxy residues. When you run your fingers through you hair after just shampooing, it will feel tangled, therefore it is crucial to use the conditioner after the shampoo wash. You hair will no longer feel tangled anymore and it will be easy to brush through. Your hair will smell great, with an orchid floral scent that lasts a long time after your shower. These two products are obviously meant to complement each other. My hair tends to tangle with many other well-known shampoos and conditioners, and I appreciate that with the Biolage Colorlast duo it does not do that. My hair always tended to be incredibly dull and lacking luster. I noticed a big difference after the first wash with the ColorLast shampoo and conditioner. I love the shiny, smooth, soft and super clean feeling! I hesitated buying them at first because I have never paid that much for shampoo and conditioner before but I’m happy I did. They make me feel like I just stepped out of the salon with the way it causes my hair to bounce. I have gotten plenty of compliments and people asking what my secret is. Every woman loves hearing that. I only regularly use the first two products of the ColorLast collection. The shampoo and conditioner combo works to purify and moisturize your hair to help prolong color vibrancy while leaving your hair soft and detangled. The other two products in the line I think are redundant and I never felt were worth the extra money, but you might find them helpful, so why not try them out. I think the Shine Shake is best for highlights that you want to make pop, and for help controlling frizzy hair. The Mask is essentially just more moisturizer. If your hair is not yet soft enough, this product ought to do the trick. For me, the soft, shiny finish of the shampoo and conditioner combo had me happy right out the gate. When I went 4 weeks after my salon visit, and my blonde hair still looked salon-perfect (minus root growth), I was hooked! I do not use these products when my hair is in its natural state. There are other shampoos and conditioners that I prefer; but for color-treated hair, I found Biolage’s products to be what suited me the best. Hot water leeches dye out of hair quicker and strips the color by opening the surface of the hair strand, which then causes the dye molecules to escape, so when you rinse your hair, and shampoo and condition, stick to lukewarm or cooler water temperatures. 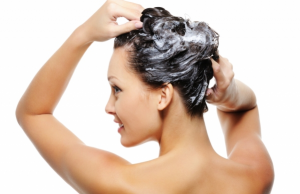 You can prevent water from washing away your vibrant color by washing your hair less often. Shampoo and condition just two or three times per week. 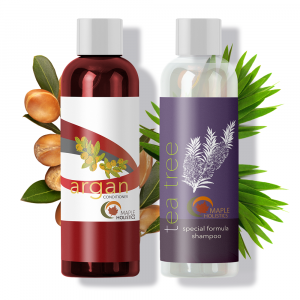 This will help retain the natural oils your scalp produces that help condition your color-treated hair. To keep your hair oil-free and clean, use dry shampoo to refresh it on the days that you are not washing it. These will all help keep your color lasting longer and help maintain the health of your colored hair. Makes your hair soft, smooth and shiny. 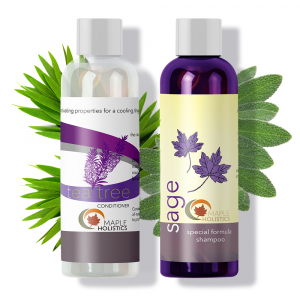 Biolage tries to be eco-friendly and environmentally responsible when creating both the products themselves and the packaging, so you can feel good in that respect when buying these products. They smell great, with a nice flowery scent that is not overpowering and manages to stay in your hair for up to two days. Like any good color extending product, this will save you money because you will be able to color your hair less, which is also healthier for your hair. Can be purchased in a 33.8 oz/ 1 liter bottle to save on cost if you use this product regularly. Lathers well and cleans thoroughly. The new formula is not sulfate free. I would have thought a shampoo designed to protect color would have a less aggressive cleanser than Sodium Laureth Sulfate. Does not add volume and can even make your hair a little limp. Though I would be happier if these were cheaper, I will still be sticking with Biolage ColorLast. Buying the larger bottle is a better choice economically, plus because this product is high quality you’ll end up saving money on constant visits to the salon colorist. Though this can improve the look of your thin hair, I think these products are best used by thick-haired women who do not require added volume, because the ColorLast collection will not do that. Read about Derma Rolling while you’re here at Maple Holistics! It is important to remember that since our skin and hair react differently to products from person to person, what works for one might not work for you. If you do not mind spending the cash on trying this product, go ahead and you might discover a hair shampoo and conditioner that you love, and if you don’t want to “risk it” by buying a whole bottle, then see if you can get a sample from a friend, use it once and see what you think. You might just have found the right shampoo and conditioner for your color-treated hair!